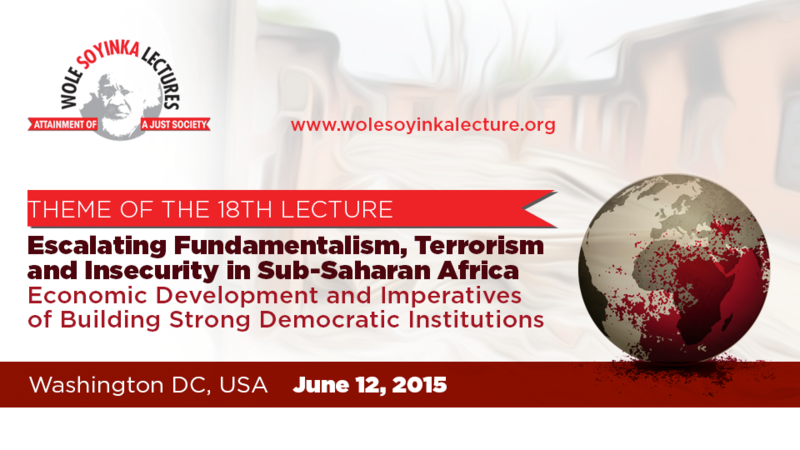 18th Wole Soyinka Lecture - Washington DC, June 2015. 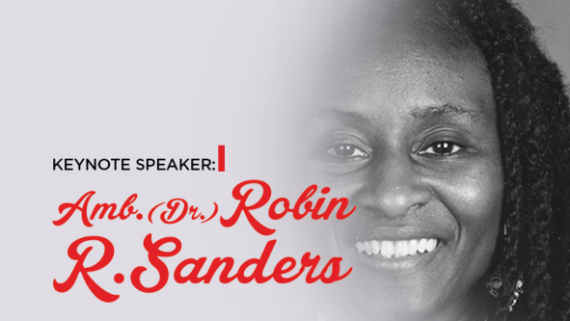 Announcing the 18th Wole Soyinka Lecture holding in Washington DC, June 2015. 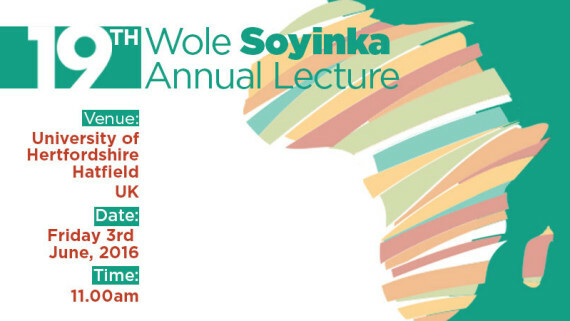 Home Imaginefy_Logo Recent News Announcing the 18th Wole Soyinka Lecture holding in Washington DC, June 2015. Having tracked the impact of the activities of terrorist groups like The Islamic State Militant Group (ISIS) in Iraq and Syria; Taliban extremists in Pakistan and Afghanistan; Al-Shabab in Somalia and Kenya, Boko-Haram in Nigeria and Cameroon et cetera, The National Association of Seadogs foresees a global spread of the cataclysmic geo-political and socioeconomic consequences if concerted efforts are not sustained to contain the current surge in extremism. 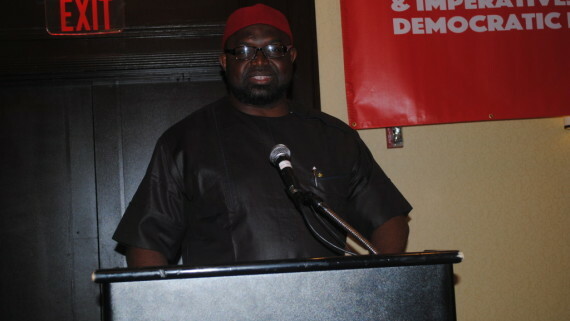 Scheduled to hold on 12th June 2015 at Greenbelt Marriott Hotel, Washington DC, United States, the 18th edition of the annual Wole Soyinka Lecture is especially dedicated to all the victims; individuals, families and nations that have been impacted by the brutal and unprecedented surge in armed insurgency and transnational terrorism. 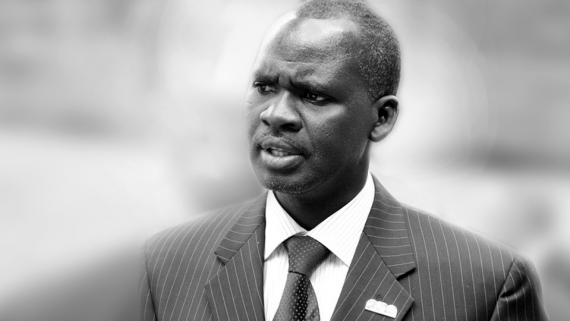 It sets out to identify, highlight and discuss the issues, circumstances, factors and influences that have contributed to the current state of insecurity threatening the corporate existence and sovereignty of many nations, especially across sub-Saharan Africa. 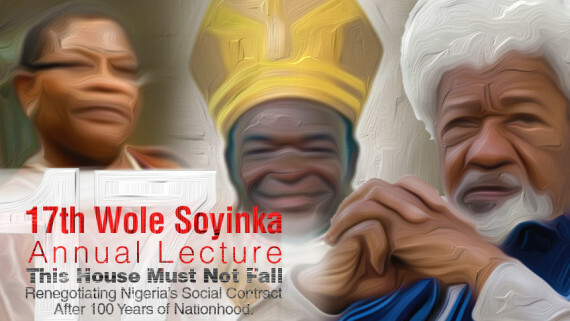 The Wole Soyinka Lecture Series is an annual event usually held in the month of July (the birth month of Professor Wole Soyinka – Nobel Laureate) and is aimed at promoting good governance, social justice and the advancement of democratic ideals locally in Nigeria and globally. 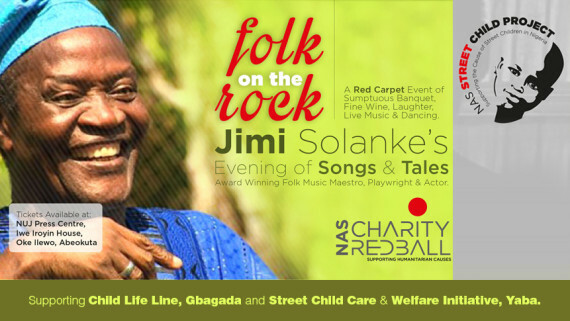 A conception of the National Association of Seadogs (Pyrates Confraternity), the lecture series is dedicated to honouring one of Nigeria and Africa’s most outstanding and enduring literary icons in the person of Professor Wole Soyinka who turned 80 this year. More information on the event as well as the keynote will be published in due course. To stay updated, please sign up for our newsletter. 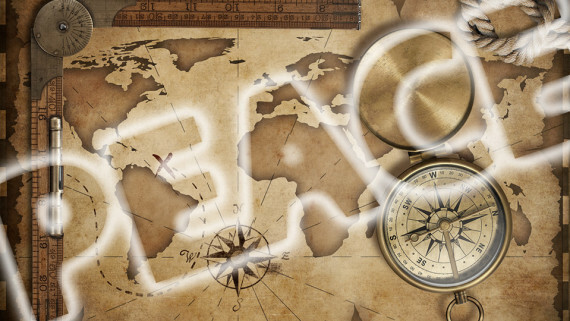 Peace Legislation and The Island of Pyrates. New Directions in Fighting Corruption in Nigeria. I’m so glad that i tuned in today to see & hear Wole Soyinka concerning his new book Of Africa . One of the best Tavis Smiley iienrvtews I’ve seen to date ! I totally agree Africa’s spirituality needs to be look into. To know Africa is the birth place of humanity thus the longest time spent in looking at humanity’s place within in the Cosmos should be taken serious; we might learn a thing or two ! Thank you ,Wole Soyinka. You can login with your existing social media account to post comment.